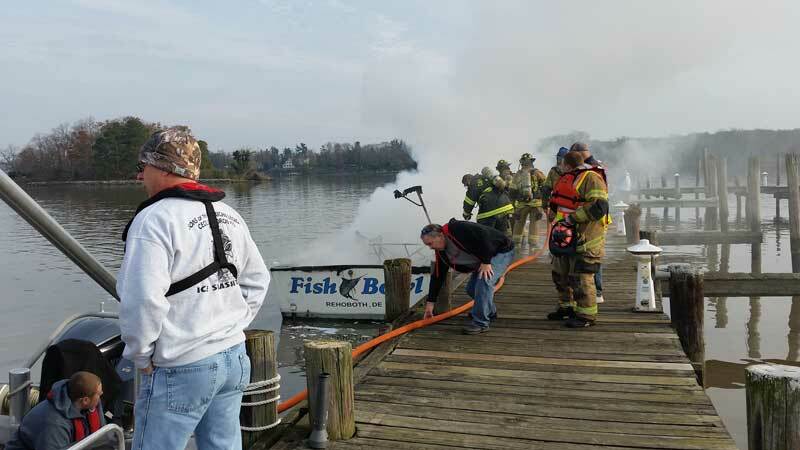 Early Sunday, November 18, a boat fire on the Elk River in Cecil County near Harbour North Marina broke out, causing the five passengers onboard to jump overboard and swim to safety. 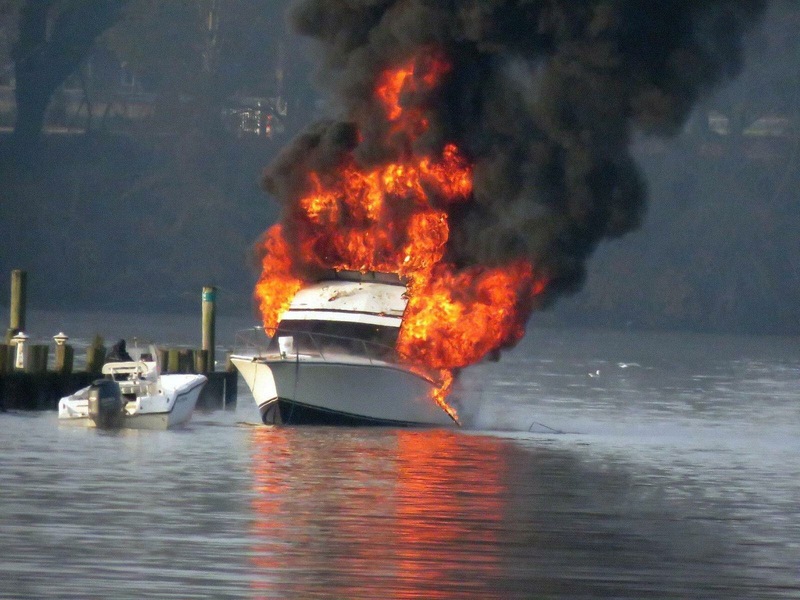 According to the Cecil Whig, the boat was a 32-foot 1989 Albermarle Convertible cabin boat, and the fire began in the engine compartment. The boat was reportedly traveling from the C&D canal to a location further down the Bay for winter storage when the fire broke out. The passengers attempted to reach Harbour North Marina but were forced to jumped overboard before reaching the marina's docks. 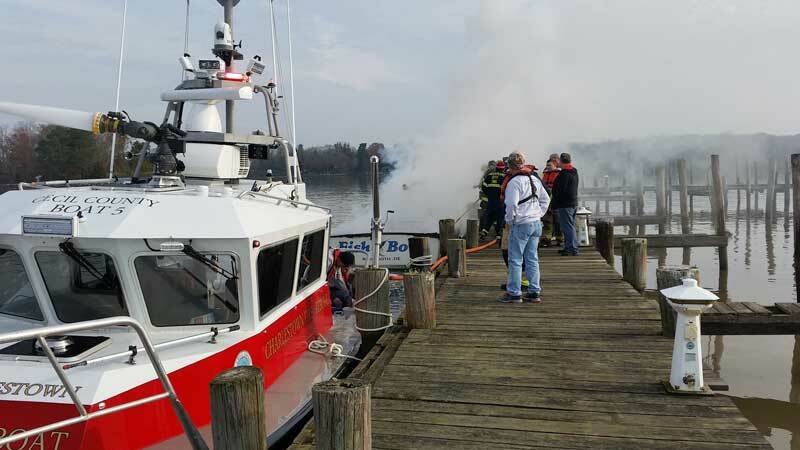 Fire crews from Chesapeake City, Hack's Point, North East, and Charlestown responded, along with the Maryland Department of Natural Resources (DNR). The cause of the fire remains under investigation.